The world is going through a healthcare crisis. In many places around the globe, the triple challenges of affordability, access, and quality are impacting the health of millions. We believe that proper application of latest technologies can solve many of these problems. IUHI is bringing disruptive changes in various healthcare sectors, especially in India. 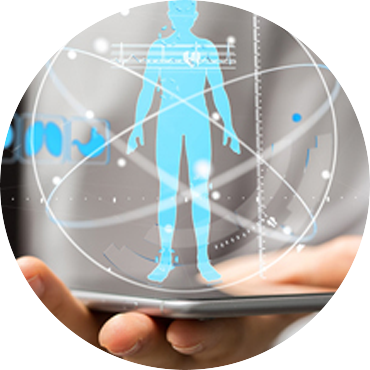 Our team of technology, health-care experts, and advisers are the best in their fields. IUHI Mission: to bring state-of-the-art technologies, world-class experts, and financial resources to make healthcare for masses affordable, accessible, and reliable using the latest technology and Integrative Medicine. IUHI is working to bring together best of the East and best of the West for bringing happiness reducing human suffering worldwide. IUHI is partnering with various organizations, both government and private and non-profit entities. We are working with several Indian states to help solve many of their health-care challenges for the masses, especially the poor and illiterate. The complex and large-scale health care challenges can be resolved only by bringing the best of both the worlds in terms of technology, process, research, knowledge, skills development and management. Working on cutting-edge technology of Virtual Reality, Artificial Intelligence in various fields including continual medical education and pre-surgical planning, so that healthcare professionals in the developing world can get the required training with limited resources. Assisting in research of low cost and effective solutions for building artificial limbs that can be fitted to the disabled and also low cost arthroscopic solutions. Stem cell therapy research to find the treatment of diseases such as Sickle Cell Anemia and Cancer. Bringing together experts, scientists, and ancient knowledge from the East to find solutions for ailments like Diabetes, Alzheimer’s, Cancer, and other non-communicable diseases. Working with experts and the policy makers from India and the USA for Smart Healthy City solutions. IUHI organizes international conferences, symposia, workshops and seminars on contemporary health care issues.Two international conferences were held at the Harvard Medical School, Boston in last two years to bring together experts and practitioners from mainstream medicine as well as Yoga and Ayurveda traditions. The 3rd International Conference will be held on June 22-23, 2018 at the same venue.